The global popularity of WordPress makes it a juicy target for all types of hackers. 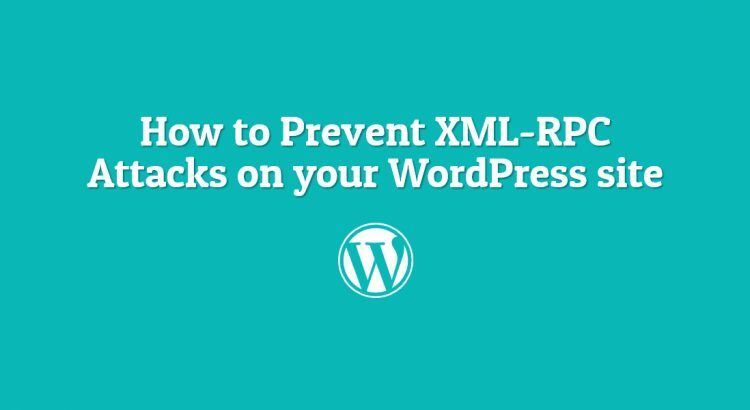 One of the most common attacks on WordPress is the XML-RPC attack. In this tutorial, we’ll learn what XML-RPC is and how to block XML-RPC attacks. XML-RPC is a remote procedure call that uses XML for encoding and HTTP for transport. WordPress is using XML-RPC for information exchange between clients on the network. Using this functionality, the attacker can send thousands of brute-force attacks against your WordPress site in a very short time period. The attacker will try to log in using the xmlrpc.php script with random username/password combinations many times per minute, thus affecting the brute-force attack on your WordPress site. Another problem is that xmlrpc.php also allows the attacker to guess hundreds of password combinations using only several HTTP requests. This would also lead to a very high database load. This could also bring your site down, displaying the “Error establishing database connection” error. There are several ways to block XML-RPC attacks. You can find a lot of plugins that do that. Like the ones on this page. Of course, you don’t have to do any of this if you use one of our Server Security Patches and Updates Services, in which case you can simply ask our expert Linux admins to secure WordPress and prevent XML-RPC attacks for you. They are available 24×7 and will take care of your request immediately. PS. If you liked this post, please share it with your friends on the social networks using the buttons on the left or simply leave a comment below. Thanks.